George expresses his concerns about damages to the school from fire. 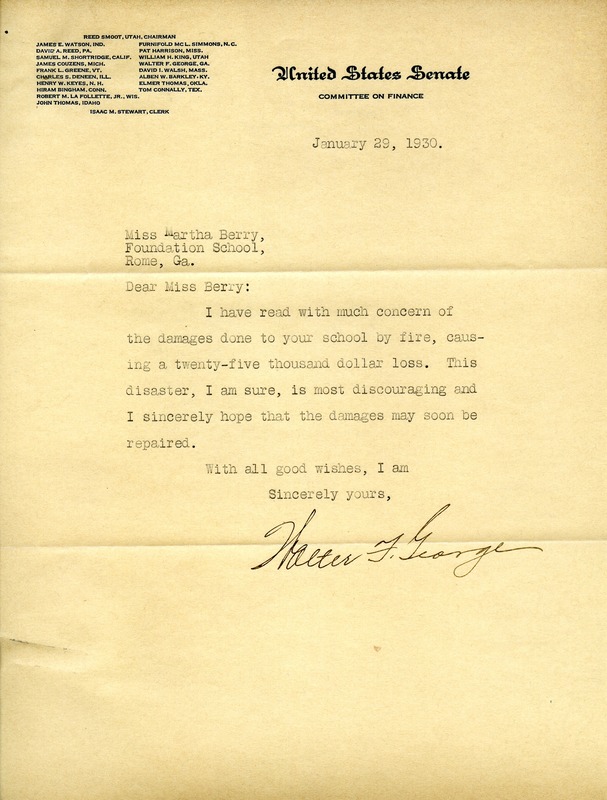 Walter F. George, “Letter from Walter F. George to Martha Berry.” Martha Berry Digital Archive. Eds. Schlitz, Stephanie A., Sherre Harrington, et al. Mount Berry: Berry College, 2013. accessed April 21, 2019, https://mbda.berry.edu/items/show/12614.